Infrared steam showers and saunas are an obvious choice for home owners looking to implement an oasis of health and body balance into the home. Ultratech Beauty specialises in lifesyle, leisure and healthcare products. We are introducing our far-infrared saunas and steam showers which have many benefits to increase health and wellbeing. Ultratech Beauty holds only the highest quality Far Infrared products. These sleek and modern designs will fit into any new or renovated bathrooms. You can enjoy the luxuriousness and tranquility of a professional spa in your own home. 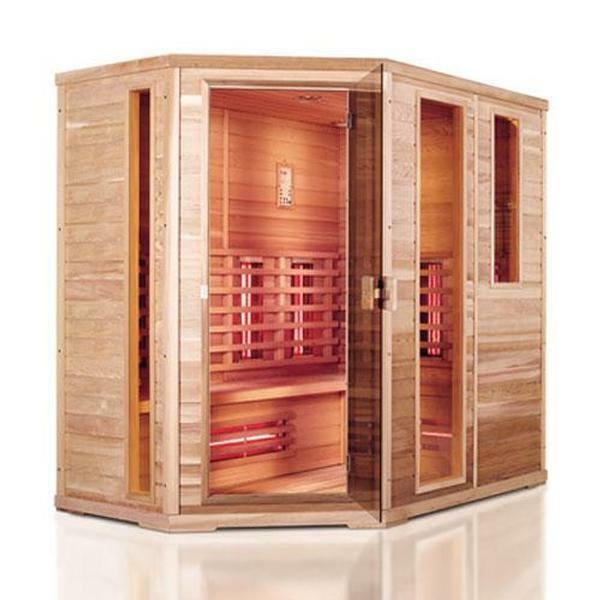 Size: 2100 x 1400 x 2000 Specifications: 1) 4 person sauna. 2) 2 types of high quality timber. 3) Plating poslishing & zinc casting hinge. 4) Brown tempered glass door & window. 5) Red glass heater or magnesium heater. 6) Digital or simple control panel.